What is “The Work” of Breaking Free From Anxiety? Anxiety is a stuck energy. It’s like a wall, a solid mass inside that doesn’t know how to move. Core feelings and emotions are made out of liquid. They move through your body and are then released. “I’m sure I’ve mentioned this in the past but probably the greatest thing I did for myself to break free from relationship anxiety was to create my own guide. I bought a nice set of lined paper of different colors, some good pencils, and a pretty binder. I printed out all of the course wheels and took notes on them about what came up for me while watching the course videos and reading the course articles. I wrote notes upon notes on the parts of the course I thought were important. Sometimes I even just copied word for word because writing it down helped me understand it. And I tried to read my own notes to myself as often as possible (it was hard because there was a lot of resistance). I think something different happened for me when I read it written in my own note-taking style. As this member so beautifully shares, reading alone is not the work; we have to engage with the material, exercises, and tools in a way that takes the information out of the realm of the head and helps it metabolize into the body. And the most important point of her post is in the first line: “the greatest thing I did for myself to break free from relationship anxiety was to create my own guide.” She took the material and made it personal so that she could take the reins from me and not only create her own guidebook but become her own guide. She engaged with the course in a way that helped it make sense for her and she took full responsibility for her learning process. This is something that we don’t learn it school, which teaches one way of learning that often culminates in regurgitating information. One reason why I present the course material in so many ways – audio, visual, and written – is to honor the various ways that people learn. If you don’t engage with the material in a way that makes sense for you it will remain at the level of thought. We don’t heal in our heads. It’s a starting point, but healing happens when insights travel down from head to heart and body where they undergo an alchemical transformation that leads to a shift from anxiety to clarity, not in one magic moment but in slow-drip, organic time. We engage by active note-taking. We engage by working through the blocks and beliefs that prevent us from feeling our feelings. We engage by surrendering to the fear and being willing to jump off the cliff of knowing into the sea of not-knowing. It’s hard to let go. It’s hard to become your own guide and trust that you have the skills and resources to take responsibility for your healing. It’s incredibly courageous to makes this leap off the cliff of everything your ego has held onto steadfastly in its attempt to create control and safety and jump into new and unfamiliar waters, which, in the case of relationship anxiety, means taking the focus off of your partner and their perceived flaws and onto what really needs attention, which are your stories of not-enough and the fear-walls that prevent you from loving. But if you want to be released from the prison of anxiety there is simply no other way. since my boyfriend and I broke up I’ve been having just as many doubts as I did in the relationship. I’ve figured out that I’ve absorbed a choice my mother made which is one she fears I will make as well. I’ve also figured out that I don’t trust myself. Is it normal that sometimes the feelings still feel true even if I’ve named their cause? Because I’m having a hard time reconnecting with the pain of breaking up. It feels like a block between me and the feelings of pain. Can I trust that even though things might feel real it’s just covering up the pain I don’t want to feel anymore? We have many ways to cover up pain, including denial and fear. Being willing to feel pain starts with naming what’s happening, which it sounds like you’re starting to do. This resonates with me so much. I’ve struggled with relationship anxiety for years (as well as anxiety regarding other aspects of my life). A while ago I had a crush on a co worker and let things get out of hand but I never slept with this person. I kept it from my partner for a while but I eventually told him the truth. We almost broke up over the situation but worked through it. It was incredibly painful and I experienced so much guilt, shame, regret and fear. And that’s when the relationship anxiety started. I started trying to police my every move and I was so terrified of interacting with men. It was like I was afraid to do anything wrong towards my partner even though he had forgiven me. Fast forward to now and I’m now working with someone else who happens to be male. We talk sometimes and both of us have shared about our partners and just small talk. Honestly I don’t find him interesting romantically nor do I find him attractive. But I feel anxiety about interacting with him (he complimented me too which made me extremely anxious!) It’s like I’m afraid of repeating the same mistake. It’s terrifying. I even have unwanted thoughts about sleeping with him! And it feels like I’ve done something wrong and I need to confess to my partner! Underneath it all I do feel tremendous pain. Sadness. Emptiness. A profound loneliness deep within myself. And horrible insecurity. When I break this down I think I also don’t trust myself or feel confident. And I think a lot of this stems from my relationship with an emotionally unavailable father. I never really had normal interactions with men that I was comfortable about. Or I’ve sought attention from male figures because I never had the attention i wanted from my dad. I would greatly appreciate some insight on this. Thank you so much for your response Sheryl. I will definitely try to join your course. I know that I would greatly benefit from it. Just now at work I had a conversation with the same male co worker about our weekends and he says that I looked good today. I can already feel myself becoming extremely anxious and guilty that he’s complimented me. When rationality tells me this is completely normal and ok, but my anxiousness wants to send me down the rabbit hole all over again. This truly is torture. Everything and i mean EVERYTHING you have described on here is exactly what has happened to me. I made a mistake, the same mistake as you and pain, anxiety and what felt like a life time of punishment. 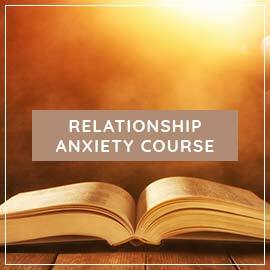 Please take Sheryl’s course, im currently doing the break free from relationship anxiety and working through it at my own pace. But im learning so much! If you ever need someone to talk to please reach out to me, sometimes its nice to have someone to relate to so much and share what has helped each other get through this. Thank you so so much! I appreciate that. It is such a huge comfort knowing that I am not alone. This journey has been far from easy…but I’ve learned many valuable lessons along the way. Since I’ve posted on here I’ve noticed how my anxiety is hanging it’s hat on several different stories. Even when I’m desperately searching for answers I’m trying to remind myself that my initial thought or feeling probably isn’t true. It goes much deeper than that, and i have to work at unpacking it all. Today I feel scared and very sad. Anxious of course lol. For some reason I’m afraid of losing my partner. When there’s no actual threat. My anxiety keeps telling me to confess everything I’ve thought about my coworker to my partner when I know all that would do is cause unnecessary stress. I’ve literally done nothing wrong at all. There is no situation to speak of. Usually I will go to my partner about my intrisisive thoughts but sometimes I think it’s healthier if I don’t. I really don’t want to project all of this on to him. My soul is yearning for something. Perhaps that’s healing and understanding. Right now I could just burst into tears. Sheryl, can I work through your e-course even if there are supposed red flags in the relationship (I am the one causing the red flags mainly but am willing to take responsibility)… My boyfriend has always been so supportive but I am pushing him on the edge with my RA now? I am really wanting to put in “the work” as I have had enough of the way that I am reacting to situations within the relationship, e.g. partners love language, getting angry quickly etc.. and all of this has been a result of avoiding my core emotions. I’m just slightly concerned that perhaps the e-course may not apply to me as it is primarily for those with relationship anxiety and not facing red flag issues? That’s exactly what the course will help you address. I know it takes courage to dive in, and I hope you do. Try not to worry, I’m sure if you know the red flags are your doing then it is not your partner who is showing red flags. This means your relationship is worth saving and I hope you find the courage to enroll on the course. I have just enrolled and from only watching the welcome video I know i’ve done the right thing. Don’t fear that it’s too late… the fact you’re on this page commenting shows how committed you are and that it’s not too late. Good luck. Sheryl, you explained this so well. My default it to want to think away my anxiety! Lol I realize that overthinking is a big contributor to anxiety over here and for many people. Thinking and analyzing feel familiar and it’s not easy to let go. Little steps. My wife and I are about to have a baby. Sometimes I’ve looked at her and thought she looked unspeakably beautiful, while other times not so much. In the past before doing Sheryl’s course and doing the work i would have panicked and thought “oh my god what have i done?! I must be in the wrong relationship! how on earth can i not find my pregnant wife beautiful all the time?! !” Now instead of this i ask myself how i’m feeling. Am i tired? Have I been sleeping okay? Has work been stressful? Am i scared about the impending transition to fatherhood? Is this transition making me realise my own mortality and thus am i fearing death? The answer to all of these questions is yes. All of these things have been coming up for me. We are now at 41 weeks too and the not knowing has added additional stress and anxiety and with it thoughts about her not looking beautiful or being boring etc. During these times i just need to call it out for what it is. It has nothing to do with her, it’s all me baby! I need to slow down and be kind and loving to myself. I need to voice what is on my mind about my fears and difficulties. In doing all of this i move through the intrusive thoughts and anxieties and once again i see her for the magnificent and beautiful woman she is. It’s always a joy to hear from you, B, and please send my love and blessings to all of you as you enter this next monumental transition! Hi Sheryl, I’m not sure if my post went through … I am really just wondering if there is a difference between the relationship anxiety that you talk about and diagnosed ROCD? I’ve had OCD for years and ROCD for the past 15. I guess my concern is that my CBT cautions against delving into the “why” because it may fuel my anxieties/ ocd tendencies. I’m just wondering if I can find outif people with diagnosed OCD/ ROCD have benefited from the relationship anxiety E course? I just love your blogs but I am such a high anxiety person, now I wonder “am I just feeding my OCD”… Thank you so much and I really appreciate this website/ blog. It really does feel comforting to not feel so alone. A significant percentage of course members either have an official diagnosis of OCD (and ROCD) or strongly identify with the diagnosis, and they’ve benefitted enormously from it. The course doesn’t encourage you to explore why you’re having that thought as much as viewing the thought as an alarm bell from psyche where you’re invited to turn inward and take ownership of your inner world and well-being. My heart would like to share…I took the Break Free and Sacred Sexuality courses when I was in the very deep throws of anxiety (not just relationship) and it had a profound effect on my feelings of fear and helplessness. 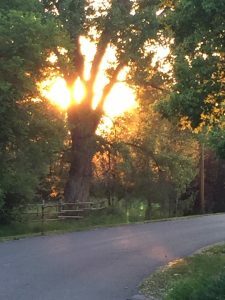 These courses taught me how to connect with my Self/soul in ways that I hadn’t in years. I had become an expert in pushing uncomfortable feelings away, criticizing myself for intrusive thoughts and thus developing some very unhealthy and damaging habits. Being a highly sensitive person, I realize how essential this work is for my life experience and the importance of working at it day by day, at times moment by moment. It truly does not happen overnight, but once I committed to it, my life began to turn around. Yes, intrusive thoughts arise, they are uncomfortable, but the more I dig the more I realize they are not the enemy. Painful on a mind level, my obsessive thoughts teach me something new about my Self each time I am able to dig below them. From these thoughts I have learned more about myself/gotten to know my Self on a level I feel I never would have otherwise. I truly believe once you commit to the work, it will help. I have a daily practice comprised of quiet time/meditation, journaling, hot tea or bath and spiritual practice/introspection. I feel off tilt without it which only tells me how incredibly important it is to go within regularly. When I first heard Sheryl say “anxiety is a gift”, I could not fathom how that could be. Now, I understand. Sheryl, thank you and what a gift you have been to me! 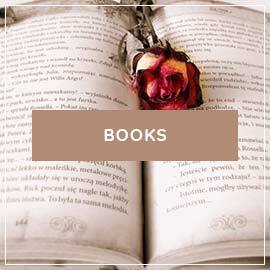 I love reading about people’s daily rituals and their commitment to quiet time and turning inward. Isn’t it interesting that as kids we were forced to have “quiet time” in preschool. We still need it as adults! In fact, I truly believe that the future of our world depends on it. Congratulations on your book. Please let me know when I can pre-order it. Thank you Sheryl, I’m now on my second run through of the course after my quick go through to get myself on a bit more of sn even keel. I too wondered if i was ‘doing it right’ but by your example from another member i am. I’ve had triggers that have not manefested because of using your tools. Thank you once again fir your brilliant work. I am in a brand new relationship – only 2 months with a wonderful but, I now realize, deeply troubled man. We are both in our mid-forties. In the initial weeks of meeting we experienced such forthrightness and kindness, open and in-depth communication, the ability to begin the process of being vulnerable to each other including being able to communicate anxieties (both of us) and feel safe and heard with one other. We were both elated over such a sense of comfort, a first for both of us. After a few more weeks passed, I realized that his kindness sits on top of a smoldering anger. He is under tremendous pressure due to a complicated family situation, one that is not likely to resolve soon or easily, and would affect our lives together. It takes all his energy to deal with it, and in addition he goes to therapy, engages in self care, and does the work of reflecting and growing. He exerts extreme effort to handle things in healthy ways, I can see that. He has been deeply traumatized by what he has gone through and when this trauma is triggered he behaves in ways (avoidance/control) that trigger my fear. I’m working with the fear, journaling, restarting the Trust Yourself course, tons of self-care and sitting in stillness, and started up with a new therapist who specializes in the issues he’s dealing with. We’re talking a ton about all our feelings but these talks are leaving us drained. And attempts to be light and get away from the heavy talks get hijacked by the family situation. I’m realizing he’s not as available to me as he hoped he would be. I see both of us doing tons of work, from every angle, but it only seems to increase our feelings of exhaustion around one another. What more of doing the work can I do? I’m at a loss as to how to proceed. Thank you so much for your wonderful work. Going through the TYS coursework again is so heartening, seeing all the ways I’ve moved up the growth spiral. These weeks have been hard, and knowing what practices to turn to is a gift. When I first started taking the course there was a lot of resistance for me because I was afraid like most people that it would end up I’d have to leave my partner. This was two years ago …though I have never been much of a journal sometimes like to write I’ve gotten journals overtime I do them here in here and again. I feel it the work for me is still a lot of my head but I am finding more and more How open minded I’ve become which I feel is a great accomplishment personally and emotionally. I still project a lot I’ve been thinking about making what I call a grief board putting a picture of a period of time in my life on a board and writing about it but I don’t even know how to grieve which is kind of sad so I’m wondering how does one grieve? Dear Sheryl, I read from this site that the next Sacred Sexuality course will not be available until 2019. 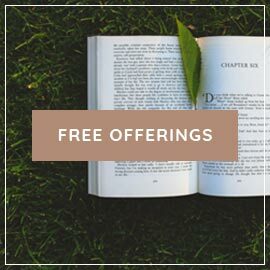 I have taken your Break Free course and it has helped me immensely. 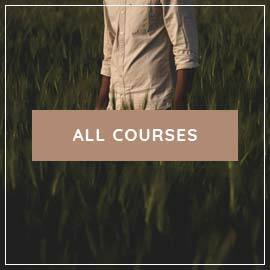 I would very much like to take the Sacred Sexuality course as well, but seeing as how it won’t be possible until next year, I was wondering if there are any books on sexuality which you recommend? I recommend a book called “The Intimate Partner.” It’s out of print and hard to find but it’s worth trying to find it. It’s not exactly what I talk about in the course as my course is very much geared toward women’s bodies and sexuality, but it’s excellent work. I have seen other councelors, physchologists who specialise in anxiety on the internet and they dont come close to you. They have this lack of honesty and genuinety that you compose and demonstrate. Sheryl, I am sure many highly sensitive miserable people from all walks of life including myself are forever grateful for your hard work you and your staff put in to make the courses so impeccable and simple to follow. I have been doing all the tools that work for me on a daily basis. With the journalling i remember you said in the previous courses there is no right or wrong way of doing it. Is it at all possible for you to write and explain the best way to word it. A style which i can follow? I feel i might have been journaling not the way u suggest. Can u help me on this? You’re such a sweet, dear soul, Angela. 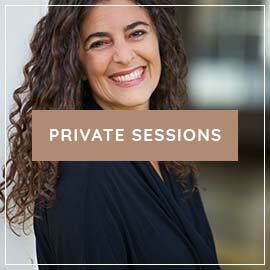 Do you have my Conscious Weddings or Break Free From Relationship Anxiety e-course? The journaling technique I teach is in both of those courses. I do have both those courses, i cannot open the conscious wedding e course. I have the password it just wont allow me to get access to my files. Can relationship anxiety cause memory lapses? Not typically although it depends what you mean by “memory lapse.” Anxiety can cause all kinds of strange symptoms. Yes, we dissociate as a way to protect ourselves from pain. Hi I’ve signed up for the e course just had a quick doubt! How do you deal with the projection of “unlived lives” on your partner? I feel that’s a key component for me since I’m lucky enough to have found a wonderful partner in my first relationship as a part of my healing process. Thank you so much for everything, loving the healing that’s taking place whether it’s calming down and eating well again or pealing the projection off my partner, never thought I would heal or this phase would get over. Indebted to you and supremely grateful for your work and support through your lovely articles. I have a question to one of your previous articles: when you write about a history of shutting down, would you say that not feeling any sadness over the death of a pet or a loved one or my parents’ divorce would be considered a history of shutting down? Is it also relationship anxiety if you’re about to get back together with an ex and after missing them and getting really anxious that they might not take you back you suddenly feel nothing?